An intimate, authorized yet frank biography of Gore Vidal (1925-2012), one of the most accomplished, visible and controversial American novelists and cultural figures of the past century. The product of thirty years of friendship and conversation, Jay Parini’s EMPIRE OF SELF probes behind the glittering surface of Gore Vidal's colorful life to reveal the complex emotional and sexual truth underlying his celebrity-strewn life. But there is plenty of glittering surface as well—a virtual Who's Who of the American Century, from Eleanor Roosevelt and Amelia Earhart through the Kennedys, Princess Margaret and the crème de la crème of Hollywood. 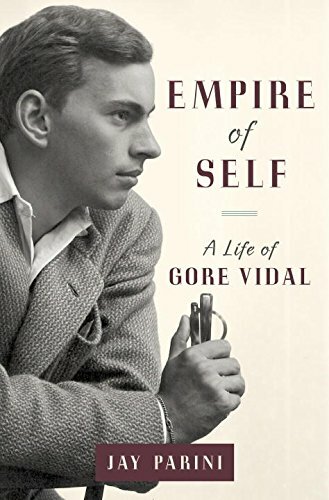 The life of Gore Vidal was an amazingly full one, full of colorful incident, famous people, and lasting achievements that calls out for careful evocation and examination. Jay Parini crafts Vidal’s life into an accessible, entertaining story that puts the experience of one of the great American figures of the postwar era into context; introduces the author and his works to a generation who may not know him; and looks behind the scenes at the man and his work in ways never possible before his death. Provided with unique access to Vidal's life and his papers, he excavates many buried skeletons yet never loses sight of his deep respect for Vidal and his astounding gifts. This is the biography Gore Vidal has long needed.